Full night karaoke with only one pop song, available at three different speeds (normal, super fast and super slow). I am your host, we sing for a specified number of hours (at least three) Listening on repeat is a way to investigate a songs poetry and hidden meaning and your feelings about it, but here we do it together, with singing. 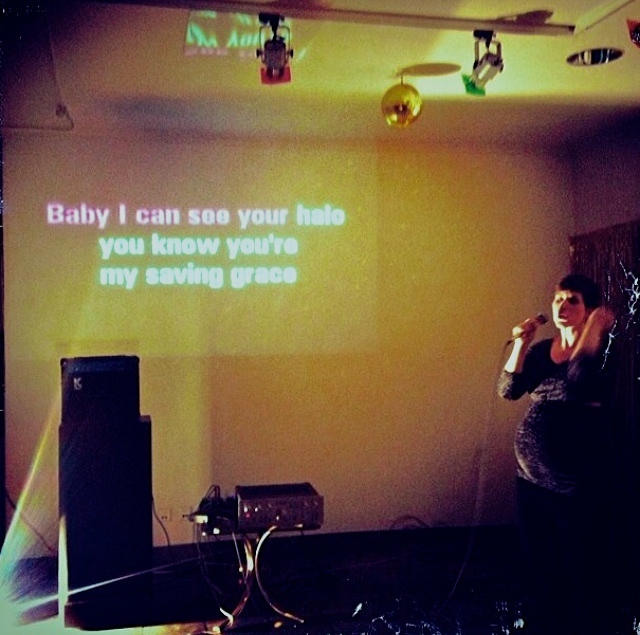 I love karaoke because of the bravery and commitment, and I love the act of repeat because revisiting unfolds layers, and because it becomes hypnotic, unbearable and amazing.